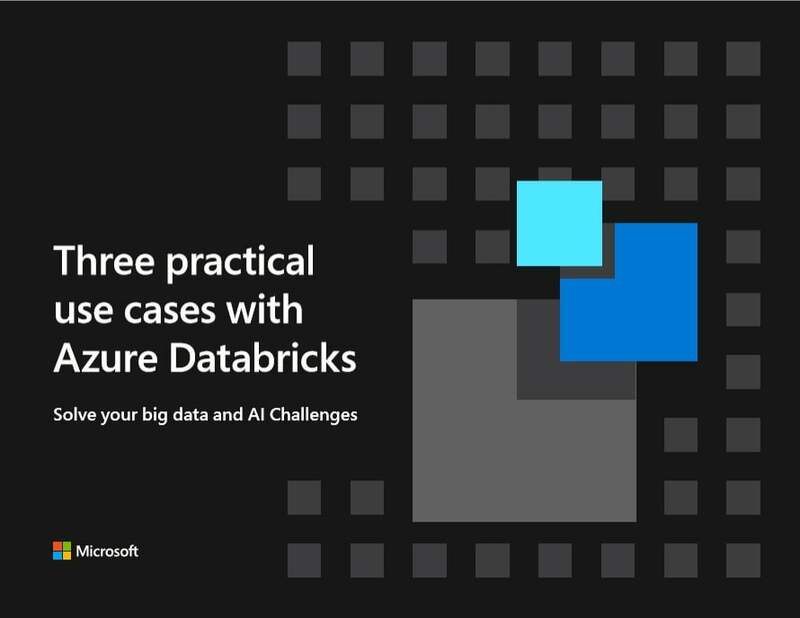 Learn how Azure Databricks tools help solve your big data and AI challenges with a free e-book, Three Practical Use Cases with Azure Databricks. See examples of pre-built notebooks on a fast, collaborative, Spark-based analytics platform and use them to run your own solutions. Walk through practical use cases with pre-built Azure Databricks notebooks to run relevant data models. Get examples of working code and step-by-step explanations of three common analytics use cases. Train yourself on the analytics platform that lets you collaborate across work groups and avoid business silos.